A panel speaking to Georgia high school students attending a recent two-day summit at the Georgia Film Academy at Pinewood Atlanta Studios in Fayetteville included, from left, film academy Director Jeff Stepakoff, Georgia Film, Music and Digital Entertainment Deputy Commissioner Lee Thomas, Pinewood Atlanta Studios President Frank Patterson and moderator Kate McArdle, director of the film’s academy’s Workforce Development. Photo/Ben Nelms. The Georgia Film Academy at Pinewood Atlanta Studios in Fayetteville on Feb. 7 and 8 was the setting that gave more than 75 high school students from across Georgia who have been accepted into 21st Century Leaders organization a close-up look at the creative industry. They were told that more and more people involved in the film business here have swapped their out-of-state tags for Georgia tags and local homes. 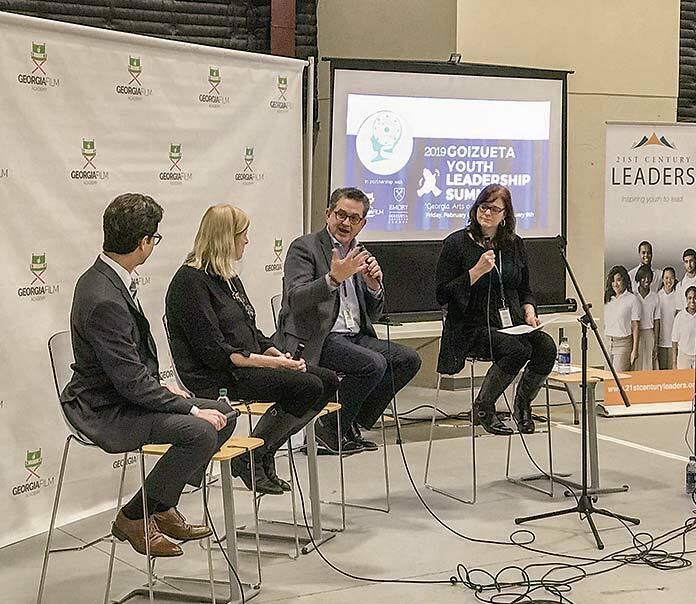 Among the activities at the two-day 2019 Goizueta Youth Leadership Summit was a panel discussion that included Georgia Film, Music and Digital Entertainment Deputy Commissioner Lee Thomas, Georgia Film Academy Executive Director Jeff Stepakoff, and Pinewood Atlanta Studios President Frank Patterson. The panel was moderated by Kate McArdle, director of the film’s academy’s Workforce Development initiative. Patterson in his comments told the students that Pinewood Atlanta is the second largest purpose-built studio in North America. At first, a lot of the crew members were from New York and California, but over the past years many of them have become Georgia-based, Patterson explained. Whether film, television or any of the creative arts, Stepakoff referencing the rapid growth of the industry in Georgia said it is exploding due to the film tax credit, infrastructure and the workforce. Noting how much of the workforce activity at Pinewood Atlanta has become more local in nature, both Patterson and Stepakoff remembered how the Pinewood Production Centre parking lot was once populated with a majority of vehicles from other states. Today, they said, the reverse is seen. Stepakoff agreed, adding that a part of the mission of the Georgia Film Academy is to provide enough below-the-line crew members. 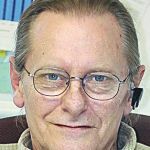 “We’re meeting the core mission,” Stepakoff said. Thomas, too, offered a similar take on the current status of jobs in the industry. There are currently 92,000 people working in the film industry in Georgia. Of those, 23,000 are in production, while the remainder are working in ancillary businesses, she said. “There are more than 3,000 companies that serve the industry,” she said. “And across the street (at Pinewood Atlanta Studios), there are 40 companies on the lot,” Patterson added. Continuing on that line of thought, Stepakoff said content, story, is a great commodity. “Yet thousands of people are needed to bring it to life,” he said. Students at the two-day event heard from others involved in the creative industry and took a driving tour of Pinewood Atlanta Studios.